GUATEMALA CITY — Guatemala's president announced on Christmas Eve that the country will move its embassy in Israel to Jerusalem, becoming the first nation to follow the lead of U.S. President Donald Trump in ordering the change. Guatemala was one of nine nations that voted with the United States and Israel on Thursday when the U.N. General Assembly overwhelmingly adopted a non-binding resolution denouncing Trump's recognition of Jerusalem as Israel's capital. Trump set no timetable for moving the U.S. Embassy from Tel Aviv to Jerusalem, and so did Guatemalan President Jimmy Morales. In a post on his official Facebook account Sunday, Morales said that after talks with Israeli Prime Minister Benjamin Netanyahu, he decided to instruct Guatemala's Foreign Ministry to move the embassy. No other country has its embassy in Jerusalem, although the Czech Republic has said it is considering such a move. Trump upended decades of U.S. policy with his announcement Dec. 6 that he was recognizing Jerusalem as Israel's capital. Although Trump said he was merely recognizing reality and not prejudging negotiations on the future borders of the city, many Palestinians saw the move as siding with Israel on the most sensitive issue in the Israel-Palestinian conflict. Israel claims all of Jerusalem as its capital, while the Palestinians claim the city's eastern sector, which Israel captured in 1967 and is home to sensitive religious sites. Many governments have long said the fate of Jerusalem must be resolved through negotiations. Trump's announcement set off weeks of clashes between Palestinians and Israeli security forces that have left 12 Palestinians dead. Netanyahu has predicted that others would follow the U.S. lead. He has made great efforts to reach out to Latin America in recent years as part of a campaign to counter longstanding support for the Palestinians at the United Nations. 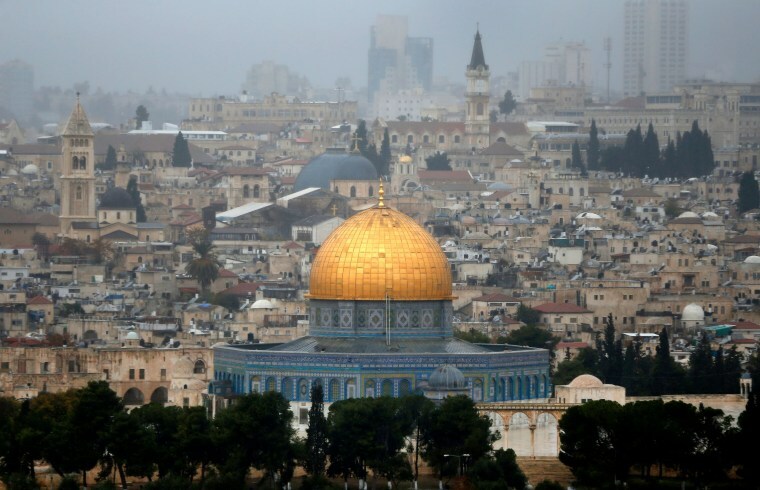 The resolution passed by the General Assembly declared the U.S. action on Jerusalem "null and void." The 128-9 vote was a victory for Palestinians, but it fell short of the total they had predicted. Thirty-five nations abstained, and 21 stayed away from the vote.